So if you talk to any panelist in Cybils first round judging, they will be able to tell you their favorite nominated book that just didn't make the shortlist. 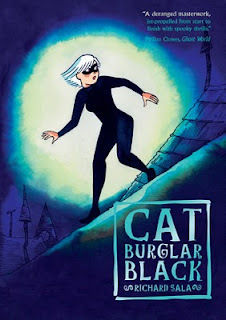 Mine was Cat Burglar Black by Richard Sala. Such atmosphere! I absolutely adored the illustrations. They really evoked an era, if you know what I mean. It was, like, old school. The style (and the story somewhat) reminded me of classic mysteries like Nancy Drew and Scooby Doo (I don't actually like Scooby Doo very much. So if you don't, don't be put off by my saying that). I mean, bright colors, unique characters, old cars, obvious villains. K has come to live at a boarding school with her aunt. But when she arrives, her aunt is ill and bandaged so heavily that she is unrecognizable. Was K meant to come to the school at all? Will she be had, or meet her destiny? And what of the vast fortune that is somewhere on campus? I loved to hate the villain(s) of the book. They were easy to pick out and the perfect mix of ridiculous and actually kinda scary (I don't like the really creepy stuff). 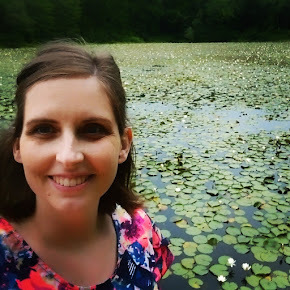 I loved to love the heroine, K. She was unique, but it was easy to relate to her. She didn't make the wacky choices that she might have, if someone else had written this book. She was solid. Both genders could dig this book, if you ask me. There's no swooning or romance that might shut out the guys, and the female lead is quite the unassuming representative of girl power. By that I mean that she's so awesome -- but it's just because she's doing her thang. Not because she's on a crusade. The book had a great ending too. I won't say much -- but it was complete and yet left you wanting more. I can't wait for a sequel. P.S. 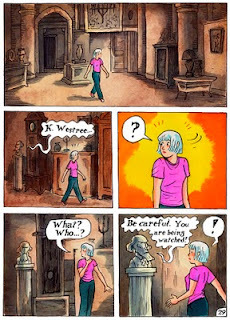 Ooh, a great page sample from Here Lies Richard Sala, see what I mean? Thanks for the recommendation... putting a hold on it now! Great! I hope you like it. Let me know. :) Oh, also I read The Hicupotomus today, so fun! Back with a "Beehive" Bang!